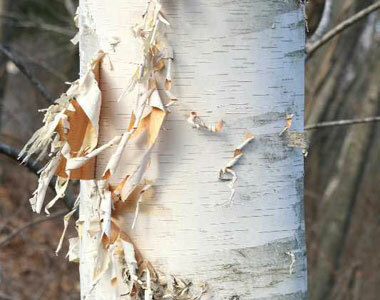 Species is listed as Endangered in the indicated New England state. Covered with spines like a sea-urchin; usually refers to the texture of a quillwort (Isoetes) megaspore. An oily or fatty appendage on seeds, offering food to dispersers. The 3-dimensional equivalent of elliptic: more or less shaped like a stretched sphere (an ellipse), widest in the middle and tapering to each end. More or less shaped like a stretched circle (an ellipse), widest in the middle and tapering to each end. With a small notch at the tip. The immature plant inside the seed. A species in danger of extinction throughout all or a large portion of its range. 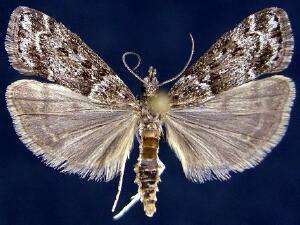 A taxon recorded from, and restricted to, only a small geographic area. Inner portion of a pericarp. Long and sharp, like a sword. 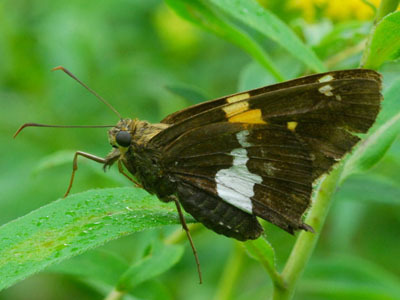 Silver Spotted Skipper, photo ©Herman Giethoorn . Happening or growing only during a short span of time. A set of closely-spaced bracts outside the actual calyx. The surface cell layer of a leaf, stem, or root. On or near the surface of the ground (usually refers to where seeds germinate). A plant that grows nonparasitically upon another plant. On a sphere (such as a pollen grain or megaspore), the section around the widest part or circumference. With the edge of the leaves set toward the stem (as in Iris). Upright; diverging from an axis at an angle of up to 15°, as in leaves or branches that point straight upward. 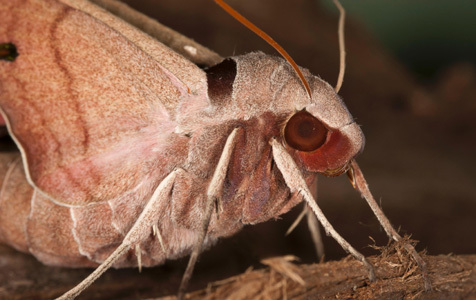 Grass Moth, photo ©Jim Vargo, North American Moth Photographers Group. Achemon Sphinx, photo ©Joseph Berger, Bugwood.org. 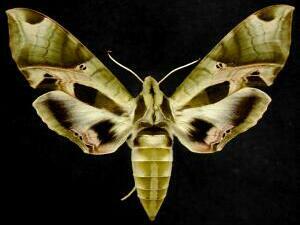 Pandorus Sphinx Moth, photo ©Jim Vargo, North American Moth Photographers Group. 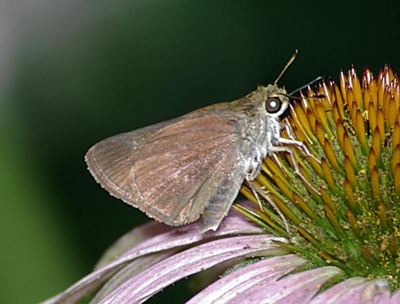 Dun Skipper, photo ©Mark J. Dreiling. 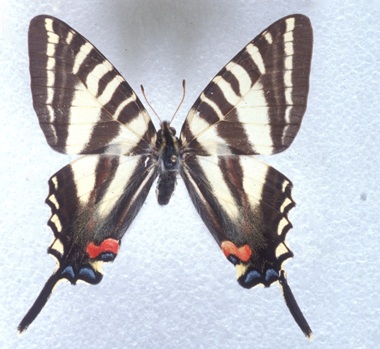 Zebra Swallowtail, photo ©Charles T. and John R. Bryson, Bugwood.org. With a sporangium two or more cell layers thick, lacking an annulus and stalk (compare leptosporangiate). Bearing leaves or other organs with chlorophyll throughout the year. With central rib or axis projecting beyond an organ. Projecting beyond an enclosing structure. A species having no living members. A species not seen for many years, with low likelihood of rediscovery.